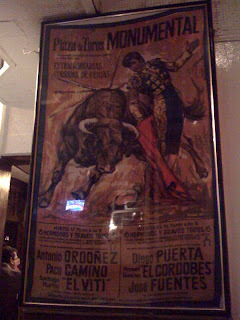 El Faro in the West Village opened its doors in 1927. It's hard to imagine that the West Village was once home to blue-collar Spanish immigrants that worked in the nearby Meatpacking area considering the wealthy people that occupy the neighborhood now. We read so much favorable reviews of El Faro and heard the recipes were unchanged since the first generation of Spanish New Yorkers that we've been meaning to eat at El Faro since we moved here. 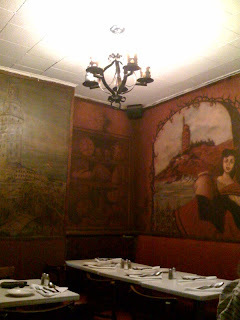 The interior has supposedly almost all the original murals, seats, tables and even kitchen items. The space is cozy but it felt very cramped because the tables are so close to one another and it got crowded very fast here. 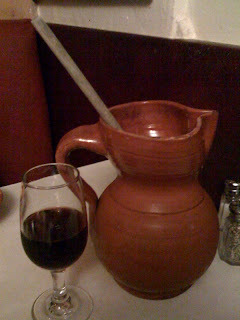 We started off the night with a half pitcher of Sangria. We're glad we didn't order the full pitcher because it didn't taste very good (it was a bit too bitter). We've made better at home. 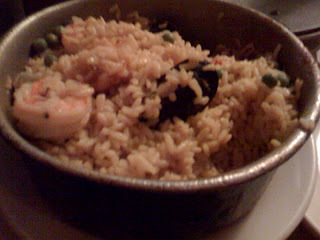 Paella a la Marinera - rice, mussells, clams, scallops and shrimp. It looked like Chinese fried rice. Where's the seafood? We found the seafood. 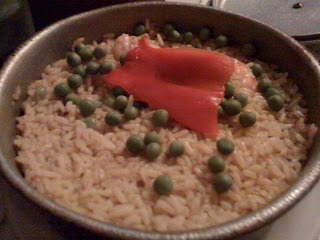 Unfortunately, this paella fell flat. The scallop was falling apart. There was absolutely no flavor in this dish. It was painfully bland and boring. 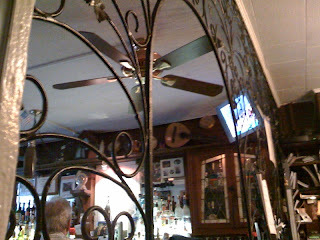 The worst part was that I really wanted to like this dish because of the history of this restaurant. 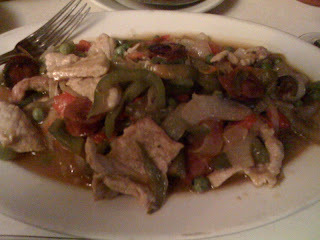 This is the Veal a la Extremena with onions, peppers and sausages. This is supposed to be a Spanish restaurant, but the flavor on this dish tasted oddly like something served at a Chinese restaurant. One redeeming thing about this dish was the delicious sausage. We wanted to try their tapas but the entrees during dinner was already too expensive. We feel pretty alone in our bad food experience here. Perhaps if you were to visit here, you'd be better off sticking to their tapas menu (which includes a tapas-sized paella).